People attend a religious service commemorating victims of a Russianairliner which crashed in Egypt, at St. Isaac's Cathedral in St.Petersburg, Russia November 8, 2015. An Airbus A321, operated byRussian airline Kogalymavia under the brand name Metrojet, crashed onOctober 31 shortly after taking off from the Red Sea resort of Sharmal-Sheikh on its way to St. Petersburg, killing all 224 people onboard. 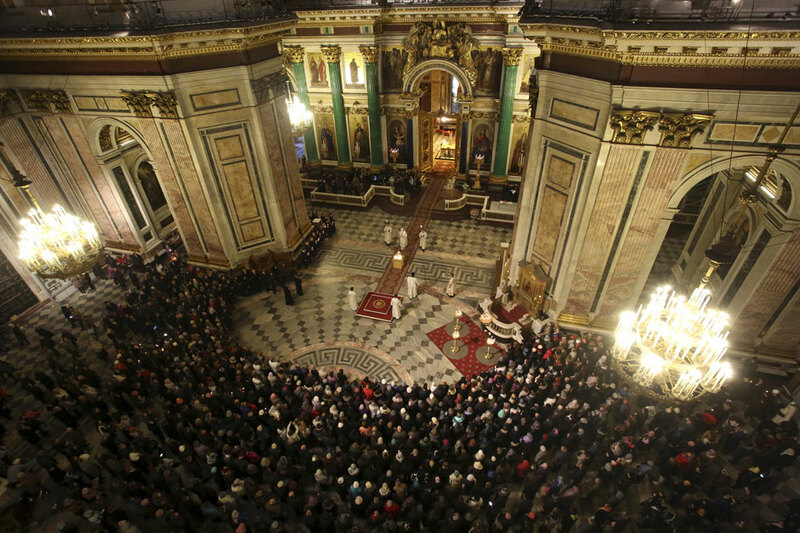 People attend a religious service commemorating victims of a Russian airliner which crashed in Egypt, at St. Isaac's Cathedral in St. Petersburg, Nov. 8, 2015. An Airbus A321, operated by Russian airline Kogalymavia under the brand name Metrojet, crashed on Oct. 31 shortly after taking off from the Red Sea resort of Sharm al-Sheikh on its way to St. Petersburg, killing all 224 people on board.